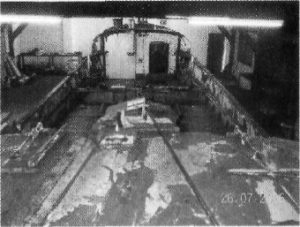 The Henry Frederick Swan was purchased by the North East Maritime Trust in 2005, as a long term restoration project, with the objective of bringing her back to her original Royal National Lifeboat Institution operational condition.She has a length of 40ft, a width of 10ft 6ins, and weighs lOtons 18cwt. 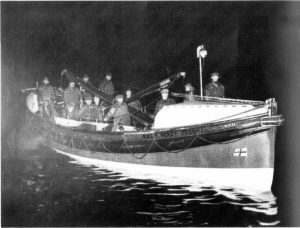 As a lifeboat, she was originally powered by a single 40hp 4-cylinder Tylor model C2 petrol engine that gave her a speed of 7.5 knots and a radius of action of 52 nautical miles at full speed. In addition to her crew of nine, she could carry more than sixty survivors. 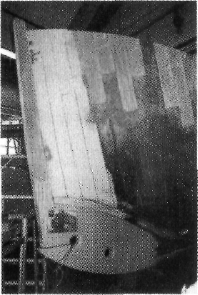 As a back-up to the single engine, auxiliary sails and 10 oars were carried. 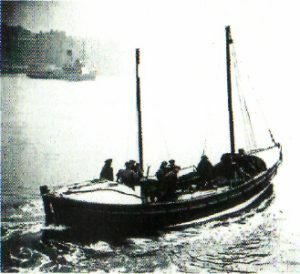 Built by S.E, Saunders of Cowes, on the Isle of Wight, between 1915 and 1917, at a cost of £6901, she was funded by a legacy from Mrs. Lowe of Bath, in memory of her late husband, Henry Frederick Swan, Chairman of the Tynemouth Branch of the RNLI. 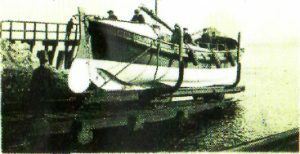 The lifeboat spent her entire operational career at Tynemouth, serving on two occasions, first between February 1918 and October 1939, then, following the destruction of the new 41ft Watson class motor lifeboat John Pyemont and boathouse during an air raid in April 1941, she returned serving till November 1947. During the 25 years as Tynemouth’s lifeboat, she launched on service on 32 occasions and saved 8 lives. 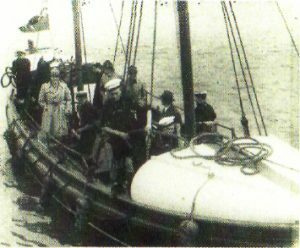 In 1948, she was sold to the 3rd Tyne Sea Scouts, and in August 1950, she sailed to Gothenburg., with a crew of nineteen onboard. The boat left the Tyne and crossed the North Sea in two days reaching speeds of 7 knots under sail and power. 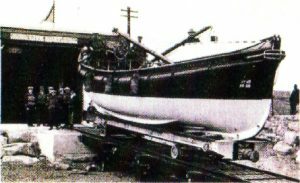 In June 1956, she was purchased by the 1st Alnmouth and Lesbury Sea Scouts, and in 1963, she was bought by the Hylton Red House Nautical School, and based at Sunderland and renamed Wearsider. based at Lemington. 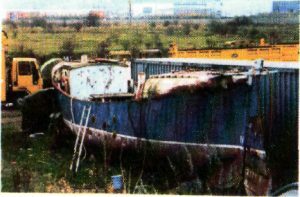 During the 1980’s and 1990’s she became semiderelict, stuck in the tidal mud under the New Scotswood Bridge, before being refloated and stored at Lemington Gut, until she she was purchased by the Trust and taken to the workshop in South Shields.